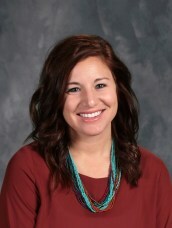 Mrs. Lappe teaching First Grade at Westside Catholic School since 2013. She graduated from Mater Dei High School in 2007 and from University of Southern Indiana in 2012 with a B.A. in Elementary Education and a minor in Early Childhood Education. Prior to coming to WCS, Jenna has had 10 years of experience working with children with her grandmother at her daycare. Mrs. Lappe was recently married to her husband Derek, a former WCS and Mater Dei graduate. She truly enjoys coming to school each day and working with such amazing students, families, faculty and staff. Jenna also enjoys traveling, exercising, shopping, singing karaoke, and spending time with family and friends.